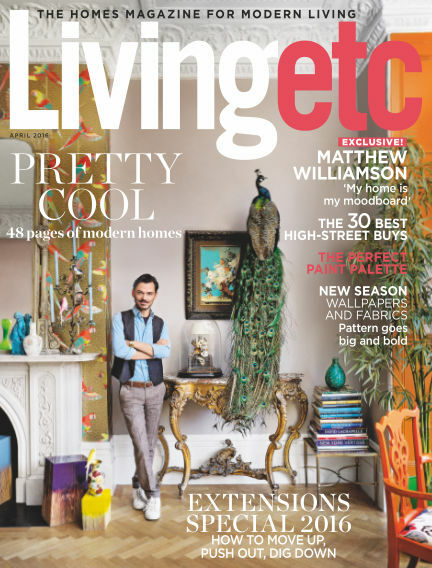 In this issue of Livingetc : Livingetc is Britain's best-selling modern homes magazine. Aimed at affluent, design-savvy readers, it introduces the latest decorating trends and design stories, providing ideas, inspiration and practical advice so readers can express their individuality and create a signature style. Livingetc delivers ideas on every page, from shopping and trends to inspiring homes and decorating projects. It offers a mix that matches the way readers live. The team presents readers with the definitive selection of what's available, from high design to high street. Livingetc provides accessible luxury with practical inspiration, giving readers the confidence to translate their original ideas into design reality. With Readly you can read Livingetc (issue April 2016) and thousands of other magazines on your tablet and smartphone. Get access to all with just one subscription. New releases and back issues – all included.